Choosing the right town and schools for you and your family is a little like finding the right fit with shoes. If they don’t feel comfortable when you try them on, you’ll have a hard time breaking them in later. It takes time to figure out which town is right for you, but let The Hollows Group give you a starting point with our complete guides to the life, schools, commute, shopping and services in select communities in Metrowest Boston, so you can begin to really focus your house-hunting efforts on a place that feels comfortable for the lifestyle you want. 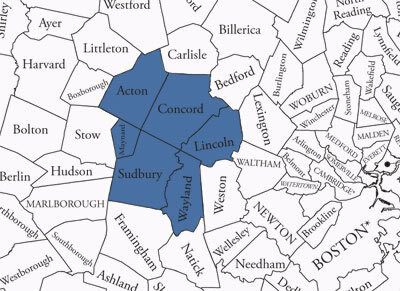 Whether it’s Sudbury, Concord, Wayland, Acton, or Lincoln, let The Hollows Group, find you “the right place” …and the right fit!